Last week I had a superb bottle of Mastroberardino’s 1985 Taurasi, which was a poignant reminder of just how gorgeous these wines can be. That bottle brought back memories of the Mastroberardino vertical I did back to 1928 a few years ago, a tasting that remains vividly etched in my mind, even today. I had a badly sprained ankle, and had to travel down to Baltimore the following day for a meeting with my colleagues, but none of that mattered at all. The wines were transcendental. Ian D’Agata is our man on the ground in Campania now, but I recently saw an offer on a Lonardo Taurasi that floored me when I tasted it a few months ago, so I thought I would share these notes. Needless to say, if you can find the wines – especially the vineyard designates – don’t hesitate. There are only a handful of wines in the world that are so deeply evocative of a grape, a place and a vintage. Readers will find all of that - and so much more - here. Cantine Lonardo is a small estate located in Irpinia, in the heart of the Aglianico production zone. A few weeks ago, we featured the 2010 Irpinia Aglianico, which is a superb value. The current Taurasi releases are even better. Lonardo makes four Taurasis, including a Riserva (which was not in my most recent tasting) and two vineyard designates; the Coste which emerges from 40 year-old vines on American rootstock on clay-limestone soils and the Vigne d’Alto, which is sourced from a parcel of 70-100 year-old vines on a combination of American rootstock and own-rooted vines planted on volcanic ash soils. 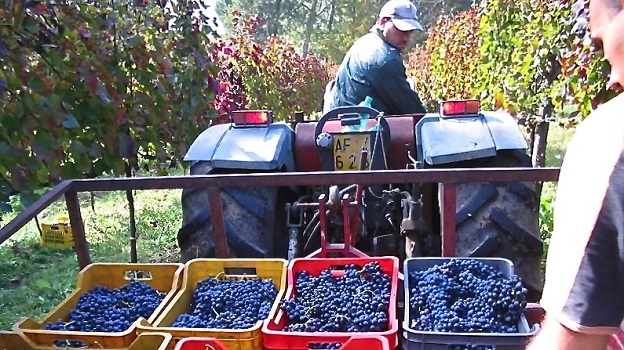 Late harvests (typical of Aglianico), and long macerations lasting two-plus months are the rule. The vineyard designates are aged in 5HL casks, while, the straight Taurasi is done in a combination of cask and stainless steel. These are big, powerful wines built on concentration, structure and intense aromatics that capture the essence of what Aglianico and Taurasi are all about. The 2009s are a bit more open today than the 2008s, but both vintages will drink well for many, many years. Simply put, these are some of the most compelling wines being made in Italy today.